Protector plant floor computers and computer enclosures are at home in industries where ergonomics, maintenance, and sanitation are of highest priority. They are built from the ground up for high performance in corrosive, dusty, wet, hot and cold environments. Mobile Computers are the gold standard for accurate, reliable and rugged real-time data collection. Their simplicity and thought-out ergonomics help to increase productivity even in the harshest environments the food industry can throw at them. Carlisle is proud to offer the world’s most popular line of thermal printers from Zebra and Datamax. Our experience and printing expertise is one of the main reasons why our customers keep choosing to partner with Carlisle for their printing needs. 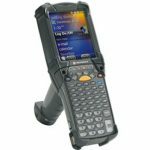 Carlisle is a leading reseller and implementer of laser and imaging-based barcode scanners and readers for reading virtually all linear and 2D barcodes. Our scanners are designed for years of reliability in the toughest manufacturing and warehousing environments found in food processing, manufacturing and logistics. 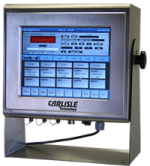 Carlisle’s weighing systems coupled together with Carlisle’s iCap Weigh / Label software transform into an intelligent data collection weigh / label solution able to manage product files, label formats, tare weights, over/under check weigh, accommodate standard or catch-weigh products, track giveaway and much more. Protect your printer investment! 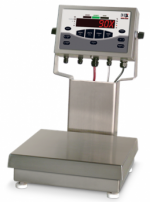 For label printing applications in harsh working environments, Carlisle Technology offers the Protector Printer Enclosures provide wash-down and dust protection for thermal label printers, extending their life and reducing maintenance costs. 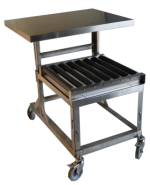 These stainless steel stands are at home in industries where ergonomics, maintenance, and sanitation are of highest priority. Their sanitation-friendly design allows thorough high-pressure cleaning to prevent bacteria build-up. 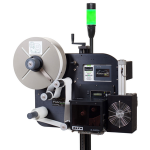 Print and Apply label applicators are ideal for automating the application of high resolution text, bar codes and images on pieces, cases and pallets. Carlisle is an expert on designing and implementing in-motion and automated print solutions.